The smallest of the lot but this little gold coloured bathbomb packs a real punch so I made sure to nab a few. The scent of this is, of course cinnamon but it reminds me a lot of one of my favourite shower gels from Treacle Moon, Warm Cinnamon Nights. It's a sweet cinnamon scent with popping candy on top for a little extra fun. Now this was bought purely based on the look as by the time I'd found this one I'd lost my sense of smell. It pink, polkadot and a really decent size so it went right in my basket. Sadly since I've regained a working nose I've discovered this bathbomb has quite a Strong lavender scent (BLEAUGH) so I'll be passing this onto a friend - it's just a bit too lavender'y for me, thanks. This was the main item I popped to store for - purple and silver bubblebar that smells of sweet liquorice... YES PLEASE!! Sadly there were only very small bars left on my visit but I'll be able to get at least two uses from this item. Ohh I love Disney references. I actually received one of these as part of my Disney Bloggers Secret Santa this year from the lovely Sophie Jo and the smell was AMAZING - I could smell it before I even unwrapped my parcel. I loved how uplifting and citrus'y (that's a word, K) it seemed so I couldn't stop myself buying another. A reusable star shaped bubble bar infused with cinnamon and cloves, mounted on a cinnamon stick, drenched in glitter and topped off with an adorable jingle bell - I just couldn't resist, especially when it was only £2.97 in the sale. I am a HUGE fan of LUSH solid exfoliator bars, I've previously talked about the Rough with the Smooth (here) but this little green sugar scrub was half the price (£2.95 not in the sale) of my usual favourite so I thought I'd give it a bash. I was a little apprehensive as this cutie also has lavender listed in its ingredients and as I said above, it's not my cuppa tea but in this product it's really faint - it seems to be outdone by the fennel and ginger, making it refreshing rather than old granny's cupboard soap. 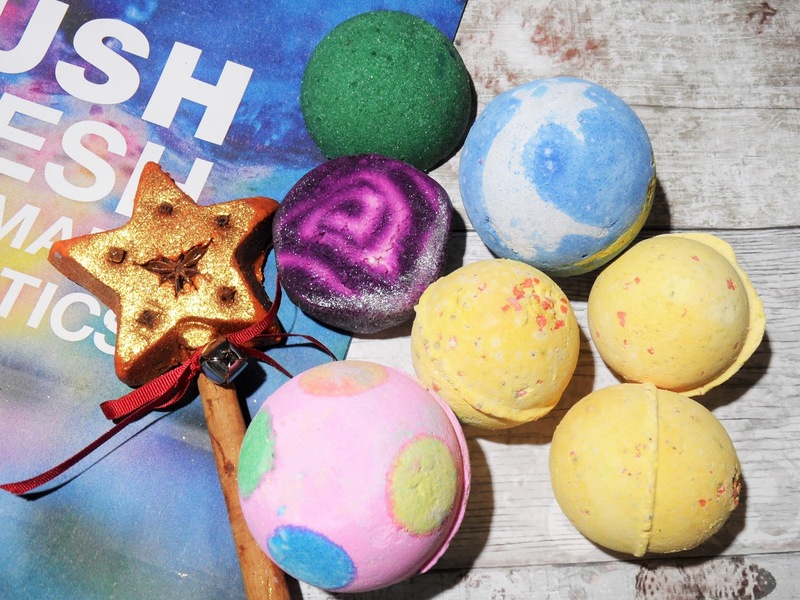 Did you pick up anything in the LUSH sale or did you hold off and treat yourself in the new Valentine collection? I can't believe you almost spend £80 on bath products, bloody hell lol! That is a little extreme, although I do love LUSH. I know, the SHAME!!!! I'm so glad I caught myself on, I'd never have gotten through it all. 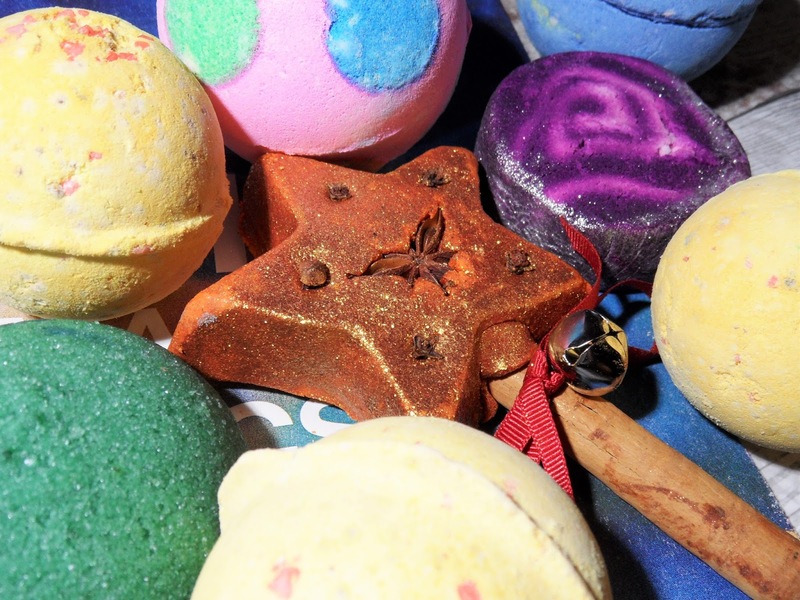 I seriously need to take a trip to Lush! Oh I totally get that, we used to have a REALLY small store and I couldn't go into it but it's been moved to a large unit now and is SO much easier on the senses. It can be a little overwhelming sometimes though. YogNog was the one I actually didn't manage to get but I think I'm stocked up well enough anyway. I know £80...shame on me I'm so glad I called and got the order cancelled!